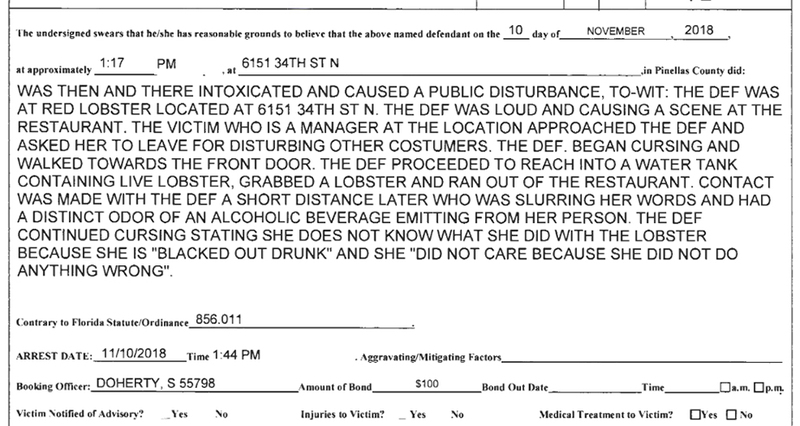 The woman was “loud and causing a scene at the restaurant,” according to the arrest affidavit. A manager asked the woman to leave, who was cursing as she was led to the front door. Feed every story about disorderly swear-y conduct at a Red Lobster directly into our carotid artery, please. 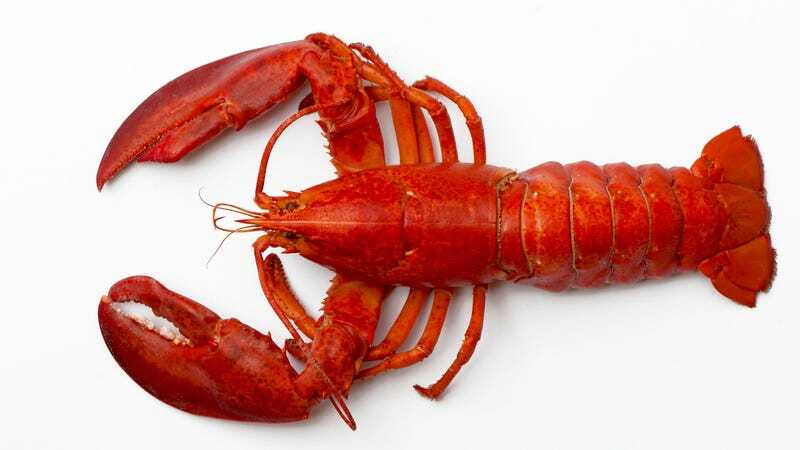 As the woman left, she “reached into a water tank containing live lobsters, grabbed a lobster and ran out of the restaurant.” The ultimate F.U. at a Red Lobster, well done. The woman was arrested at 1:44 p.m. That’s Saturday afternoon. Please give the fine journalists at The Smoking Gun your click, we beg you.